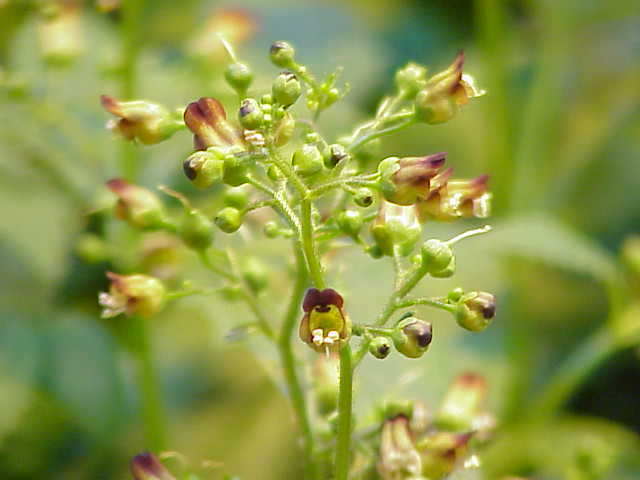 Scrophulariaceae, the figwort family, is a family of flowering plants. The plants are annual or perennial herbs with zygomorphic (rarely actinomorphic) flowers. Members of the Scrophulariaceae have a cosmopolitan distribution, with the majority found in temperate areas, including tropical mountains. The family name is based on the name of the included genus Scrophularia L.. In the past it was treated as including about 275 genera and over 5,000 species, but its circumscription has been radically altered since numerous molecular phylogenies have shown the traditional broad circumscription to be grossly polyphyletic. 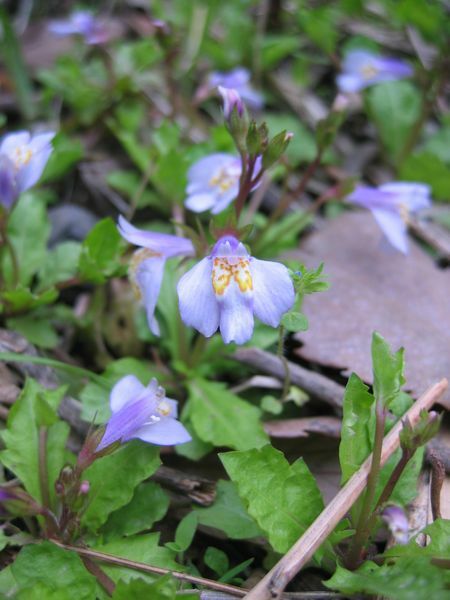 Many genera have recently been transferred to other families within the Lamiales, notably Plantaginaceae and Orobanchaceae but also several new families (Olmstead et al., 2001; Olmstead, 2003). Several families of the Lamiales have had their circumscriptions enlarged to accommodate genera transferred from Scrophulariacae s.l. Haston, E., Richardson, J. E., Stevens, P. F., Chase, M. W., Harris, D. J. (2007). "A linear sequence of Angiosperm Phylogeny Group II families". Taxon 56 (1): 7–12. Olmstead, R. G., dePamphilis, C. W., Wolfe, A. D., Young, N. D., Elisons, W. J. & Reeves P. A. (2001). "Disintegration of the Scrophulariaceae". American Journal of Botany 88: 348-361. - on line here. Olmstead, R. G. (2003). "Whatever happened to the Scrophulariaceae?". Fremontia 30: 13-22. - on line here. Oxelman, B.; Kornhall, P.; Olmstead, R.G. ; Bremer, B. (2005). "Further disintegration of the Scrophulariaceae". Taxon 54: 411-425.